A few months ago, I picked up a couple of lip liners from the Primark range, not thinking that they'd be as amazing as they are, I went back again last week and picked up a few extras just incase they suddenly go off the shelves. I also purchased a couple glosses that stood out. They have everything down to a pencil that's specifically for fake freckles - no joke! The PS range is big, they have foundations, powders, lipsticks, eyeshadow palettes, brow kits and much more. They have recently released a PS Pro range which includes mascaras, concealer palettes and more shades to their lipstick line. The Pro range also includes skincare products such as primers and scrubs. It's fair to say that Primark have really up-ed their game in the beauty area. I felt safe going for the lip products because their foundations and powders didn't really have a broad shade range. My go-to lip pencil. When I picked this up a few months ago, I didn't think much of it. Since using it the first time, I have used it nearly everyday - on its own and mixed with some other favourites. 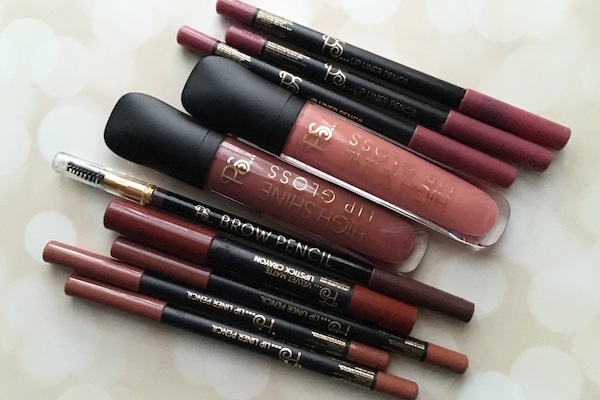 It's definitely the type of brown that's really in at the moment and I'm so so happy it's available in a lip liner form and of course at an amazing price. They are creamy but not too soft and don't drag the lips during application - they glide on very easily. They are matte but not to the point where it's drying out the lips. I've stocked up on so many and will probably pick up more when I'm there next. I love my holy grail Brow Archery by Soap & Glory, it's like the perfect texture/shade brow pencil at an affordable price and I never thought I will find anything similar at an even cheaper price tag. This brow pencil comes very close. I don't ever over draw my brows, I like to go through them very lightly to cover the sparse areas. This pencil is SUPER dark so when you're using it, you need to use a very light hand. Because it's so harsh you need to be careful not to use too much as it's a pain to take off and start all over. Nonetheless, it does the job and lasts all day. Up until now, I have always hated anything glossy on the lips. Now I know what you're thinking, hair getting stuck on the lips and the lips constantly getting stuck together..no! Every since I've been using a lip gloss from the brand 3ina, my perspectives towards them have totally changed. The dark shade stood out to me straight away, I thought it would look so hawt when worn on top of the brown lip pencil - and I wasn't wrong. These glosses aren't extremely sticky, they aren't sticky at all. And although the name is 'high shine', they aren't so blinding, I think I'm slowly moving on from my matte addiction, lol. I saw this on Sabrina's (LoveLaughandMakeup) Primark YouTube video a few weeks ago and I wanted it straight away. As you can probably already tell I'm always going for the brown shades. 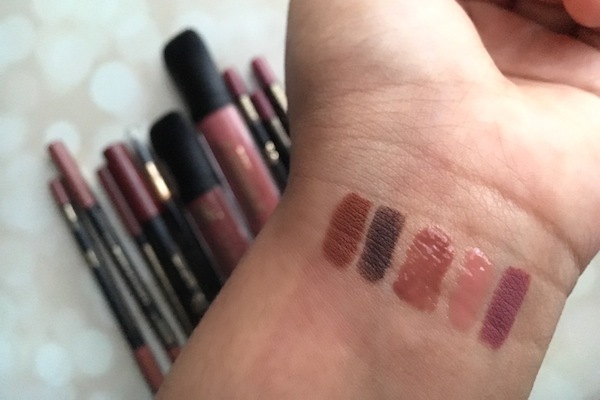 This chubby stick is super creamy - a little too creamy but it can be worked with. I did find towards the end of the day it kind of bled outside my lip line so when I wore it again, I dabbed a little loose powder to hold it in place and it did the trick. It is super pigmented and long lasting.